The contents of our Sites are protected by copyright and trademark laws, and are the property of their owners. 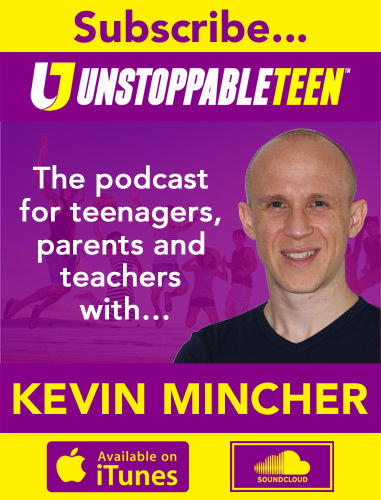 “Unstoppable Teen” is trademarked by Kevin Mincher, and all information on the Sites is copyrighted by Unstoppable Teen Ltd. Unless otherwise noted, you may access and use the information and materials within the Sites for your personal use. You may not change, modify, delete, display, transmit, adapt, exploit, or copy for distribution or sale any information, material, trademark, or copyright on the Sites. You must obtain written permission from us or any other entity who owns intellectual property on the Sites before you may publish, distribute, display, or commercially exploit any material from the Sites. By using the Sites, you agree to abide by all copyright notices or other posted restrictions. A “forum” means any message board, chat room, user review forum or other interactive service appearing on any of the Sites and includes both public boards and private folders. You must register in accordance with instructions that you will find on the Sites in order to contribute to any forum. You may not post on any forum, or send to any other forum user or our staff, any material that is abusive, vulgar, threatening, harassing, libellous, defamatory, obscene, invades a person’s privacy, violates any intellectual or other property rights, or that would otherwise violate any law. You may not use any forum in a commercial manner. You may not post material that solicits funds, or that advertises or solicits goods or services. You may not post material known to be false. You may not post messages that contain stock touts. You may not post or transmit any information, software or other material that contains a virus or other harmful component. We are not responsible for material appearing in any forum on the Sites, except for material signed by one of our identified representatives. We are not responsible for screening material posted by users for libel, obscenity, invasion of privacy, copyright or trademark infringement, accuracy, or for any other reason. We retain, however, the right to modify or remove messages or other material that we, in our sole discretion, consider infringing, offensive, abusive, defamatory, obscene, stale, or otherwise unacceptable. We also reserve the right to edit materials for any other reason. Whether or not we modify or remove such material, users remain solely responsible for the content of their messages or postings. By posting on the Sites, you grant (or warrant that the owner of such rights has expressly granted) us and/or relevant affiliated companies the worldwide, perpetual, nonexclusive right to use your questions, comments, and postings, in their original or edited form, in television programs, books, articles, commentaries, or in any other medium now known or later developed. You also warrant that you own or otherwise control all of the rights to the content you have posted and that the public posting and use of such content by us will not infringe the rights of any third party. Additionally, you warrant that any “moral rights” in posted materials have been waived. You are not entitled to any compensation for any materials you may post on the Sites. The information, services, products, claims, seminar topics, and materials on our Sites are provided “as is” and without warranties of any kind, either expressed or implied. We disclaim all warranties, expressed or implied, including but not limited to implied effectiveness of the ideas or success strategies listed on this site as well as those that are provided in our products, services or to participants on our programmes. The only exceptions are the guarantees of satisfaction that are clearly labeled within our Sites. Neither we nor any of our respective licensors or suppliers warrant that any functions contained in the Sites will be uninterrupted or error-free, that defects will be corrected, or that the Sites or the server that makes them available are free of viruses or other harmful components. Neither we nor any of our respective licensors or suppliers warrant or make any representations regarding the use or the results of the use of the services, products, information or materials in this site in terms of their correctness, accuracy, reliability, or otherwise. You (and not we or any of our respective licensors or suppliers) assume the entire cost of all necessary servicing, repair or correction to your system. Applicable law may not allow the exclusion of implied warranties, so the above exclusion may not apply to you. We do not endorse, warrant or guarantee any speakers, products or services offered on the Sites or those we link to. We are not a party to, and do not monitor, any transaction between users and third party providers of products or services. Under no circumstances, including but not limited to negligence, will we or any of our licensors or suppliers be liable for any special or consequential damages that result from the use of, or the inability to use, the materials or information on the Sites, or any products or services provided pursuant to the Sites, even if advised of the possibility of such damages. Applicable law may not allow the limitation or exclusion of liability or incidental or consequential damages (including but not limited to lost data), so the above limitation or exclusion may not apply to you. In no event shall the total liability to you by us or any of our licensors or suppliers for all damages, losses, and causes of action (whether in contract, tort, or otherwise) exceed the amount paid by you to us, if any, for accessing the Sites. Under no circumstances will we be held responsible or liable, directly or indirectly, for any loss or damage that is caused or alleged to have been caused to you in connection with your use of any advice, goods or services you receive from a guest speaker on our Sites or at one of our programmes. We are also not responsible or liable for any loss or damage that is caused or alleged to have been caused to our guest speakers in connection with the display of their photo, name, or biography posted on our Sites or in our marketing materials. When addressing financial matters in any of our Sites, videos, newsletters or other content, we’ve taken every effort to ensure we accurately represent our programmes and their ability to improve your life. However, there is no guarantee that you will get any results, school grades, or earn any money using any of our ideas, tools, strategies or recommendations, and we do not purport any “quick fix” or “get rich schemes” on any of our Sites. Nothing on our Sites is a promise or guarantee of results or earnings. Your level of success in attaining similar results is dependent upon a number of factors including your skill, knowledge, ability, dedication, work ethic, network, and financial situation, to name a few. Because these factors differ according to individuals, we cannot and do not guarantee your success, school grades, future income, or ability to improve your life by any means. You alone are responsible for your actions and results. Any forward-looking statements outlined on our Sites are simply our opinion and thus are not guarantees or promises for actual performance. It should be clear to you that by law we make no guarantees that you will achieve any results from our ideas or models presented on our Sites, and we offer no professional legal, medical, psychological, career or financial advice. The Sites are not directed to children under the age of 13 and we will not knowingly collect personally identifiable information from children under 13. We strongly recommend that parents participate in their children’s exploration of the Internet and any online services, and use their browser’s parental controls to limit the areas of the Internet to which their children have access. We may, at our discretion, require users under 18 to obtain the consent of a parent or guardian to view certain content, and we may limit access to certain content to users above a specified age. You agree to abide by any such restrictions, and not to help anyone avoid these restrictions. Users of our Sites hereby understand that the tools, processes, strategies, materials and information presented on our Sites are copyrighted and proprietary, so users agrees not to record, duplicate, distribute, teach or train from our information in any manner whatsoever without our express written permission. Any unauthorised use or distribution of our Sites proprietary concepts, materials, and intellectual property by you or your representatives is prohibited and Unstoppable Teen Ltd will pursue legal action and full damages if these terms are violated in order to protect its rights. 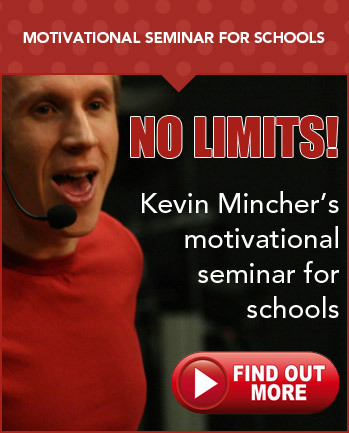 Unstoppable Teen Ltd comprises of a number of divisions including UnstoppableTeen.com, UnstoppableParent.com, UnstoppableSchools.com, and KevinMincher.com. 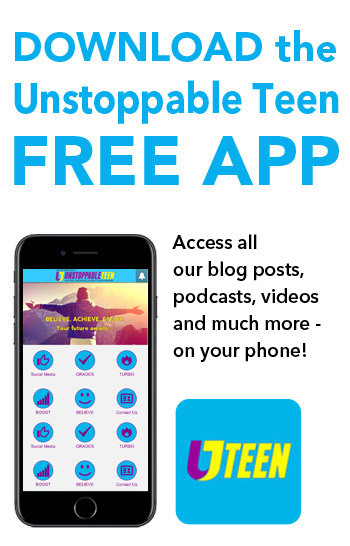 When referencing ‘we’, ‘our’ or ‘us’ we mean Unstoppable Teen Ltd. There are a number of situations where we may keep a record of your information with legal basis as set out by the Information Commissioner’s Office (ICO). In some situations where you have given clear consent for us to process your personal data for a specific purpose. This may for instance be to provide you with marketing material or to improve your customer experience. The processing of your data is necessary for a contract you have with the us, or because you have asked us to take specific steps before entering into a contract. The processing is necessary for us to comply with the law (not including contractual obligations). The processing is necessary for you to perform a task in the public interest or for our official functions, and the task or function has a clear basis in law. When And Why Do We Collect Your Data? We use Google Analytics on all of our websites. This allows us to see how users interact with content which means that we can optimise your experience and provide new content that is interesting to our visitors. This data is also used to inform our Google Retargeting and Google Adwords services. This may be to show which adverts have resulted in a sale, which items were purchased and if you have opted in previously to Googles services it may also tell us a little about your personal demographics. We retain this individual visitor data for up to 36-Months before it is automatically removed from our Google Analytics account. We also utilise cookies on our websites. This is applied to your browser and allows us to see when you return to the website along with additional information such as the order of pages visited, and time spent on certain pages. For more information on Google’s Cookies click here. The data collected through Google Analytics and AdWords may also be shared with Google LLC as part of account management. You can opt out from Google tracking here. To give you time to consider your purchase and to ensure that you hadn’t experienced any issues when browsing our websites we may also send out follow up emails. This should also include the items that you have added to your basket. This will only be sent out if you fill in your email address at checkout or are logged into your account. These emails are separate from our mailing list but still allow you the option to stop future follow-up emails. We make every effort to make the signup forms throughout our websites as clear as possible. To allow us to give away free content we run a number of lists throughout the company. These require users to unsubscribe individually however by signing up for free content you also agree to joining our main mailing list. Your mail preferences can be changed at any time as we will send you a confirmation email of your successful signup. We use Infusionsoft to send out emails to our mailing lists. Infusionsoft records both the open rates and clicks by an individual. This allows us to maintain our list and remove users who appear to no longer be interested in the services provided by Unstoppable Teen Ltd. We also track the sales that come through email marketing. This is linked to any additional information that you have provided previously along with your email address. We record your details whenever you place an order. This includes your Name, Address, Products, Delivery Information and Payment Information (but not your card details). We use the above to aid with warranty enquiries and to keep your information for up to 6 years. This is required by UK Law for VAT purposes. And whilst we can remove certain information by request your order itself cannot be amended. We may from time to time run competitions. The data collected will be outlined by the terms of the competition. Please ensure you read these thoroughly before entering any competition as they may also be run in conjunction with one of our partners therefor the data may be shared with external sources for processing. We will not add you to any mailing list unless you have specified. Once the competition is over and the winner has been drawn we will in most cases remove all of your details from our system. The exception may be where testimonials have been submitted and you have given permission for us to use these in our marketing material. During seminars, talks or other special events we may require your details for administration of registration and/or tickets. These will be subject to their own Privacy Policies but will also comply to the legal basis outlined by the ICO. We may get in touch with you to request feedback on products or services provided. You can unsubscribe from these emails at any time however we do appreciate if you could take the time to let us know how your experience was with Unstoppable Teen Ltd. 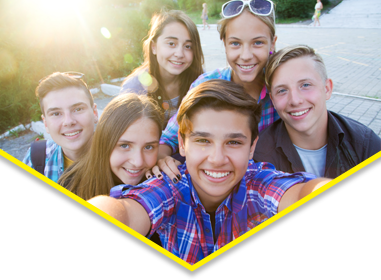 When contacting Unstoppable Teen Ltd through a website form, by email or by phone we will not record your details unless specified. We may record or monitor call times however these will remain anonymous. If you have requested a callback we will use your details for this purpose, then will remove your details from our systems. If you have purchased a physical item then we will share basic information about your package along with your name and address to our shipping providers (such as DPD or Royal Mail), we may also use 3rd party shipping software such a ShipTheory. Orders placed on UnstoppableTeen.com are fulfilled by Rival Colour Ltd. Rival Colour Ltd have access to the required customer information in order to process orders. We ensure these companies adhere to strict privacy agreements and your data will never be used by these companies for marketing purposes. As part of the arrangement with Unstoppable Teen Ltd, these companies may run their own 3rd party software to process orders however we require that all of our partners treat customers data to the same high standard as Unstoppable Teen Ltd. If making a purchase from Unstoppable Teen Ltd. your data may be stored on our management systems – Infusionsoft and Thrive Cart. Infusionsoft and Thrive Cart may from time to time access our data to provide support. Only receive the information required to complete the service they provide. Will adhere to the privacy policies as outlined in their contract with Unstoppable Teen Ltd.
Will delete or render your data anonymous once our contract has been terminated. 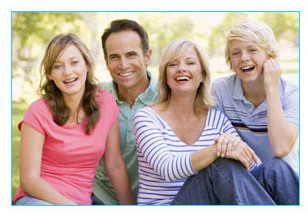 Unstoppable Teen Ltd currently use either SagePay, Stripe or PayPal to process payments. Your data is sent to these companies for processing through secure gateways. We do not have any access to your unencrypted payment details at any time. When placing an order on the phone your details are typed directly into the gateway from our secure network. Your information will never be used for marketing purposes by these or any other company unless you have specifically requested to receive material from them. When opening an account with us online, your data is stored on that websites server. It is possible for our website administrators to see all of the data added to your account (with the exception of passwords) however these employee’s must all strictly adhere to Unstoppable Teen Ltd’s privacy policies. With permission we may from time to time collect and store testimonials, these may include images, text or video content. These testimonials are stored securely through 3rd party services such as Jotform, Dropbox or Google Docs, via email, on the hosted server of the website it was submitted to or on our company’s internal secure network. Access to this information is limited to relevant individuals within the company and permission to use these testimonials can be revoked by the individual by emailing support@unstoppableteen.com. We may use testimonials on our website, via social media, YouTube and for both digital and printed marketing material. Whilst we can remove a testimonial from our database, we may be unable to recall existing marketing material. In this situation, although permission has been released to us, we will ensure that we do as much as we can to prevent further use and remove any existing material. Access to your personal data is limited to certain employees and 3rd parties, this data is password-protected and secured by SSL encryption. You may request a copy of the data that we hold on you. To find out more about your rights to data access click here. You may withdraw consent for us to use your data for marketing purposes at any time either by emailing support@unstoppableteen.com or by clicking the unsubscribe button on a recent email from us. 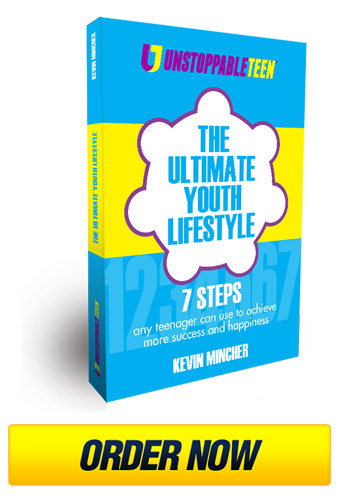 If you do not feel satisfied by the information provided by Unstoppable Teen Ltd. we would strongly recommend that you get in touch with us by emailing support@unstoppableteen.com or by calling us on (UK) 0845 834 0848. If you are still unsatisfied you can find out how to get in touch with the Information Commissioners Office (ICO) here.